Thank you so very much for your faithful prayers and support. We count it a privilege to be your missionaries in Honduras. The blessings and growth we see in the ministries here are a result of your involvement and is fruit that abounds to your account according to Philippians 4. Thank you for your prayers for my Father’s recovery from his illness and surgery in February. He also had two cataract surgeries in March. There were complications, but his recovery has been good. Please continue to pray for his health and for my Mother’s health also. Thank you for praying for our YOUTH CAMP in April. Thank you also to those who sent special offerings to help with the individual costs for the campers. We had a great camp. Pastor Daniel taught on dating, love, and the decision of marriage. I taught the book of Titus. Halbert and Edgar did a great job leading the games and activities. Each night we had a different Honduran pastor preach and my Dad preached one night. We ended the nightly services with a testimony time around the bonfire. As each one gave their testimony they added more wood to the fire, giving a good lesson on working together in the Lord’s work. The testimonies were a blessing to us as we heard how the Lord had worked in the lives of the teens. They encouraged us after all the hard work that goes into camp week. Truly, it was worth it!!!! Now to prepare for 2013! We are in the process of changing our prayer letter list to an email list. Pastor, please send us your church’s email address or your personal email to send you our letters. This will save money in postage and printing. If you prefer to receive a paper copy, we will be glad to continue to send it to you. Please contact us through the IBFI address below or our email: lesliepriday@gmail.com. May God bless each of you in a special way as you help us reach Honduras with the only true Hope, Jesus Christ. Thank you so very much for your faithful prayers and support. 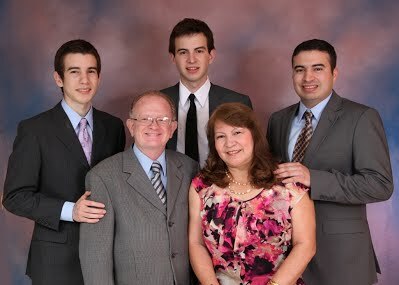 We count it a privilege to be your missionaries in Honduras. Please pray for this country being ravaged by crime and violence. The second largest and industrial city of Honduras has been recognized as the most violent city of the world. You have probably heard about the fire February 14th in our local state prison which killed approximately 360 prisoners, including one woman who was visiting her husband. The prisons here are overpopulated by almost 50%. We praise the Lord for His protection. 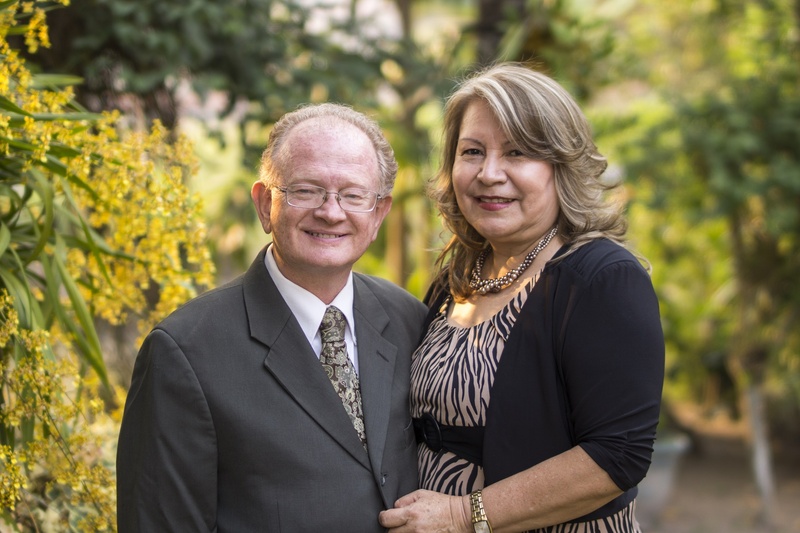 But as seen in the murders of missionaries to Mexico John and Wanda Casias, the growing violence due to drug trafficking touches everyone here. Truly the only hope is Jesus Christ!! Wednesday the 15th of February, my Dad started having severe stomach pain. Thursday he went to the doctor several times but found no relief. The doctor told him to go to the hospital and after tests and x-rays, they said that his intestine was blocked by scar tissue from old surgeries. The doctors hoped to be able to treat it without surgery, but Saturday afternoon they notified us they had to operate. We praise the Lord that all went well and they did not have to cut away any of the intestine. It was slow to wake up and he did not get out of the hospital for another week. Praise the Lord the doctor has now released him to a normal diet. He still has to be careful driving and cannot lift anything heavy. Thank you for your prayers for him and please continue to pray. He has two cataract surgeries scheduled in the next few weeks. Please be in prayer for our upcoming YOUTH CAMP, April 3rd to 7th. Please pray that there will be a good attendance, for the teachers and preachers, and for the games and activities. As mentioned in our January letter, Camp will cost $70.00 for each teen. Because of the poverty here, we would like to ask you to help them attend with a special offering. We will be charging each one $35.00 for camp. If you can help pay for the cost of a teen to go to camp, please send your offering to the mission office address below and notify us by email or phone so we can plan accordingly. Your contribution to the Youth Camp fund will be greatly appreciated by us and the teens. I feel very strongly about the importance of taking the youth away for these few days and ISOLATE THEM from the world, INUNDATE them with the WORD, and INSULATE them from Satan, the flesh and temptation as they return from Camp. May God bless each of you in a special way as you help us reach Honduras with the only true Hope, Jesus Christ, through your prayers and financial support. We trust that each of you had a wonder Christmas and that you are enjoying bountiful blessings from the Lord in the New Year 2012! We thank the Lord for each of you and praise Him for your prayers and financial support. We were thrilled to have our oldest son Steve visiting us from Fort Worth, Texas for 17 days. It was exiting to have the family together again. We even got some new pictures taken!! Some of Alba’s family came for Christmas Eve, my parents came for Christmas dinner as well as Alba’s sister and her daughters. For New Years day we had Alba’s father, her brother, and his one of his sons. We enjoyed the traditional tamales, torrejas, bonfires, and firecrackers. We thank each who sent us a special Christmas offering. The first part of December, Missionary to Mexico Miss Gayle Sparks came down and helped us with two vacation Bible schools. First we had ours in Barrio Abajo and we had some twenty children saved! We had three classes. Gayle brought the crafts and they had a Bible lesson and memorization each day. We closed with a special service with the parents. Please pray that we will see families saved and joining the church as a result. The next week she went to my parents work for their Bible school and many were saved there, also. The church had a special Christmas service and dinner that was a wonderful blessing. Several of the ladies sang special music and I preached a Christmas message. We had good attendance and a sweet spirit. The New Year started off in prayer as we had a week of prayer. Each night we met in a different home, from Monday to Saturday. We had a short study on prayer, took prayer requests, and prayer. Youth Camp is coming fast! It will be during Easter Week in April. Please pray that we will have more youth than last year, for the counselors, teachers, and preachers. Camp will cost $70.00 for each teen. Because of the poverty here, we would like to ask you to help them attend with a special offering. We will be charging each one $35.00 for camp. If you can help, please send your offering to the mission office address below and notify us by email or phone so we can plan accordingly. Thank you for your prayers and help in advance. May God bless each of you in a great way.